You know what would be amazing? If someone invented a multi-taking beauty product that you could use for literally anything—lip gloss, highlighter, moisturizer, hair gel, brow pomade, everything. Oh wait... that product already exists. And it costs less than $5. That's right—sitting in your purse right now is the world's most versatile beauty product: lip balm. And we're not talking about a fancy $60 designer lip balm, either. 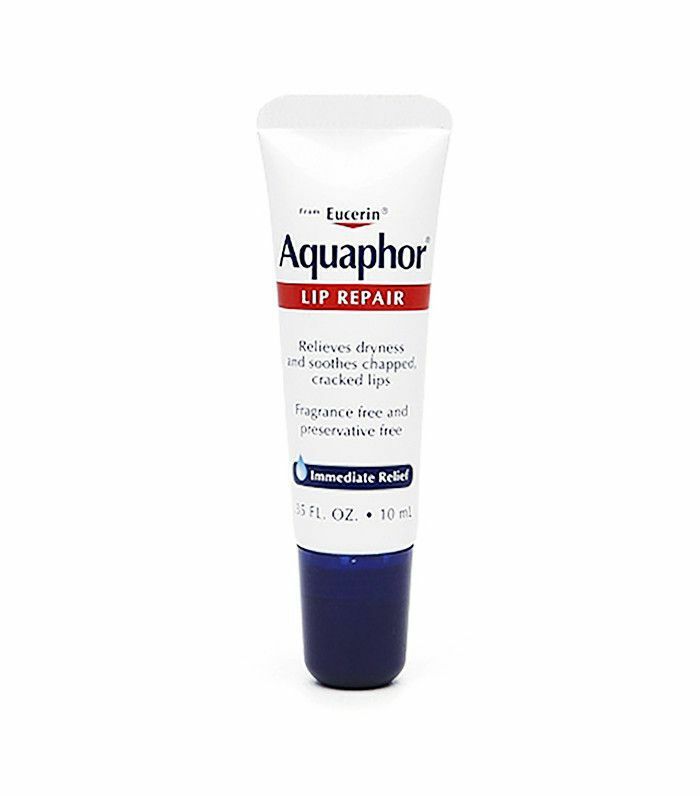 We're talking about your Aquaphor, Vaseline, Rosebud Salve, Babylips, and other super simple lip balms you can pick up at the drugstore. Personally, I milk my favorite Carmex lip balm for all that it's worth, using it as an eczema treatment, face gloss, and more. I knew there had to be other smart hacks for your everyday lip balm, so I got in touch with three celebrity makeup artists of Honey Artists, who've made lip balm work on runways and red carpets in ways you would not even imagine. Ready to see your $2 lip balm in a whole new light? Keep scrolling for 10 amazing lip balm hacks to try today! The glossy lid look is a favorite here at Byrdie, especially because you can achieve it with just a smidge of drugstore lip balm. Makeup artist Aidan Keough recommends using your Smith's rosebud salve as an eye gloss for "minimal modern makeup." If you want a bit more pigment, makeup artist Suzy Gerstein says to mix your balm with some loose eye pigment or pressed eyeshadow to create your own custom look. I take advantage of this hack every single day. 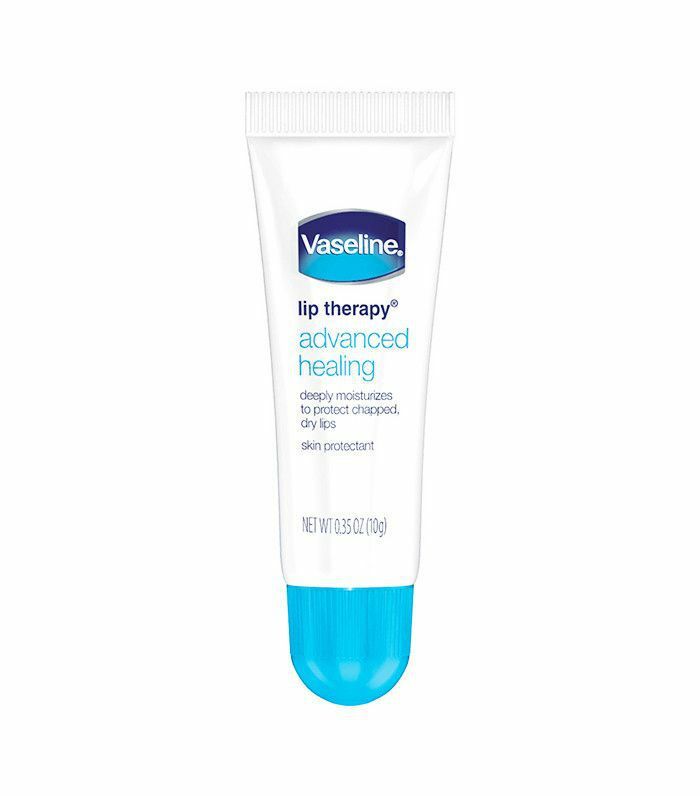 A simple, fragrance-free balm like Vaseline or Aquaphor makes the perfect treatment for dry patches, eczema, chapped skin around your nose or heels, even little cuts or blisters. The dewy, "wet-faced" highlight is super chic, and you don't even need any fancy products to get it. "Apply Aquaphor to the tops of your cheekbones for a subtle, light-reflective highlight that people will not be able to stop staring at," says Gerstein. "It's still eye catching enough to mesmerize people but they won't quite know what it is. If your lip balm comes in stick form, you can even apply it directly to your cheeks, like a proper highlighter stick. Makeup artist Min Min Ma recommends Palmer's Cocoa Butter Formula Swivel Stick ($5). "From the tube, I directly roll it onto the areas where I want dewyness and gently blend the sheen with fingertips," she says. You can also add a little dimension to your highlight by mixing the balm with a powder highlighter, like Urban Decay's Afterglow 8-Hour Powder Highlighter ($26). The combination of textures creates a creamy luminizer. Gerstein recommends mixing a few shades of powder together "until you find your perfect candle-lit glow." Lip balm can even help you groom and highlight your brows. Just squeeze a bit of unscented balm onto a spoolie and comb your brows into place. This provides "an instantly groomed look that opens up your face," Gerstein says. The balm also works to "give a soft healthy shine to brow hair," adds Keough. Slick back frizz and baby hairs on the go by taking a dab of drugstore lip balm and smoothing it over your hair, just like you would a gel or pomade. This hack has absolutely saved me on nights when my once-sleek ponytail has decided to go rogue. We learned this one from the lovely Julianne Hough. In an interview earlier this month, she told us that when the skin under her eyes feels dry or tired in the morning, she goes in with a little lip balm. "I feel like if it's good enough for my lips, then it's good for my eyes, too," she told us. Julianne uses La Mer The Lip Balm ($60), but this all-natural, peppermint-infused pick by S.W. Basics ($5) works well too. Exfoliating your lips helps keep them flake-free and smooth for lipstick application; plus, it has a plumping effect. You can create your own DIY lip exfoliator by combining lip balm in a tub with brown sugar, chia seeds, or coffee grounds. Here's a hack for when you mess up some small part of your makeup and don't want to start all over. "Whenever you make a mistake with an eye liner or if some mascara smudges, don't reach for makeup remover—it's too liquidy and hard to control," says Keough. Instead, use a cotton swap dipped in lip balm to remove the misplaced makeup. Ma says she often uses a lip balm, such as Maybelline Baby Lips ($5), along with eyeliner to create a "smudged smoky eye look." First, line your upper and lower lash lines, including the water line, with an eye pencil. Then dab a bit of balm onto your fingertip and use it to gently smudge the lid. (Ma advises against using it on the bottom liner, because it can get messy.) "Finish the look with few generous coats of black mascara," says Ma. "One of my favorite mascaras is the CoverGirl LashBlast Volume Mascara ($9)." A creamy, hydrating lip balm helps moisturize and soften your cuticles. Choose one made with Vitamin E, like this balm by Burt's Bees, to nourish brittle nails as well. Do you have any clever lip balm hacks? Tell us in the comments below!